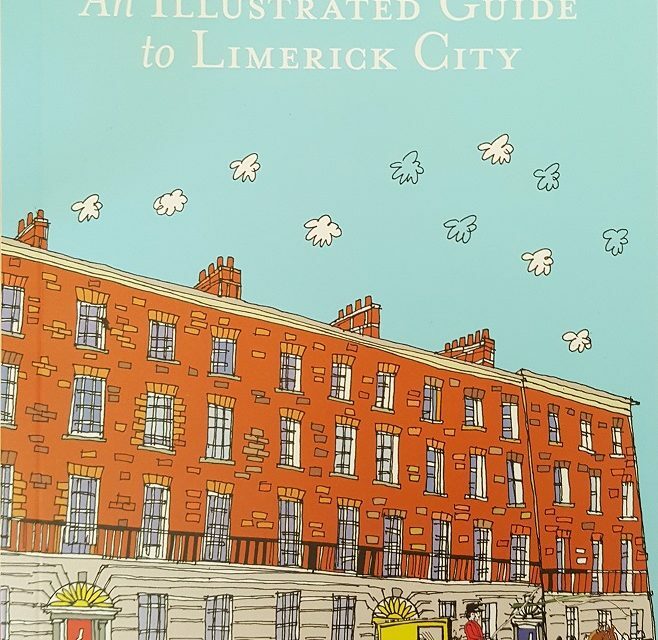 An Illustrated Guide to Limerick City is the third in Nesta FitzGerald’s illustrated tour series. Her previous guides cover County Limerick as well as North and West Kerry. 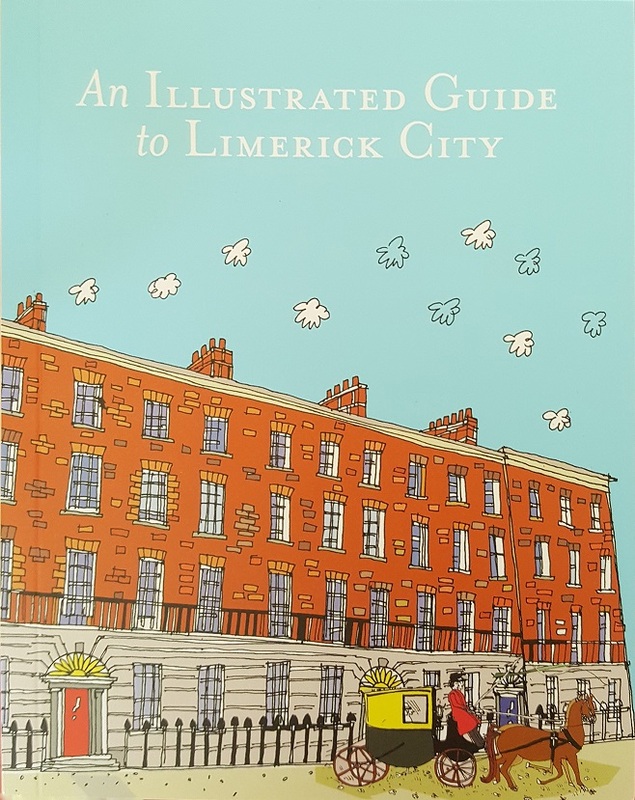 For this guide Nesta teamed up with local Limerick historian, Sharon Slater, to explore both the well-known and the quirky stories associated with Limerick’s colourful heritage. Nesta, an internationally acclaimed illustrator, originally from Glin, County Limerick but now of London, lovingly brings the tales told by Sharon Slater to life with vivid illustrations. 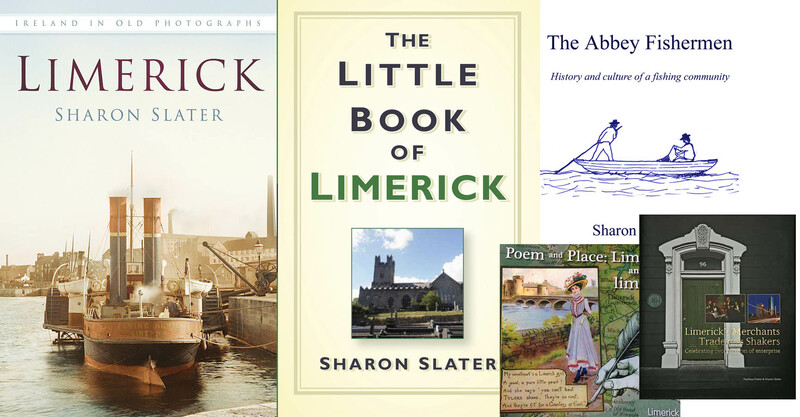 Sharon Slater is an award winning historian with an eye for the lesser known tales of Limerick’s past. This pocket sized publication was created in association with the Irish Georgian Society and would easily find a home on the coffee tables of Limerick natives or in the kits bags of visitors to the city. 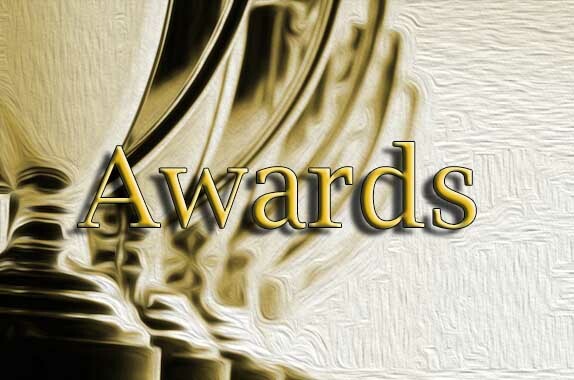 The publication is suitable for the whole family to enjoy. The guide itself weaves the reader through the three oldest sections of the city, from the Englishtown on Kings Island, to the beautiful Georgian developments in Newtownpery, and back through the historic Irishtown. As each stop on the tour is illustrated, with dramatic effect.